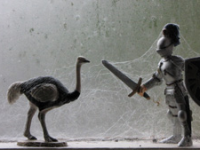 So the Curious Ostrich has neglected her own website yet managed to build a few Wordpress sites for friends and the odd client (i mean quite strange clients – arty folk!). We have produced huge amounts of web content for other people and yet we fail to offer a simple link to this wonderful work. We apologies for our tardiness. We are posting this today to shame ourselves into doing some blog housework …. We continue to co-produce a variety of films and digital media projects with a fabulously diverse assemblage of groups and organisations and will be posting some of the updates shorty.